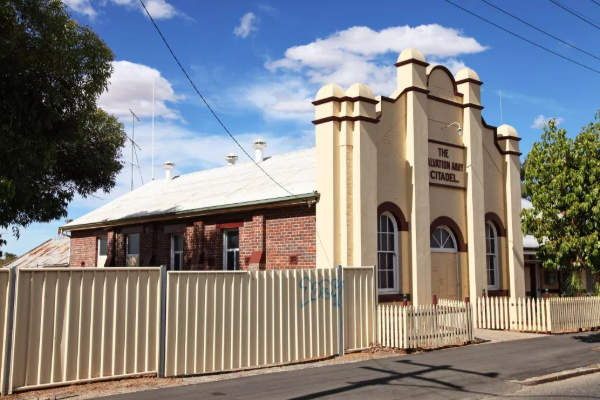 The first Salvation Army meeting in Katanning was held in the Town Hall, led by Captain Ivey Smallbone and Lieutenant Edward Holman, in January 1893. 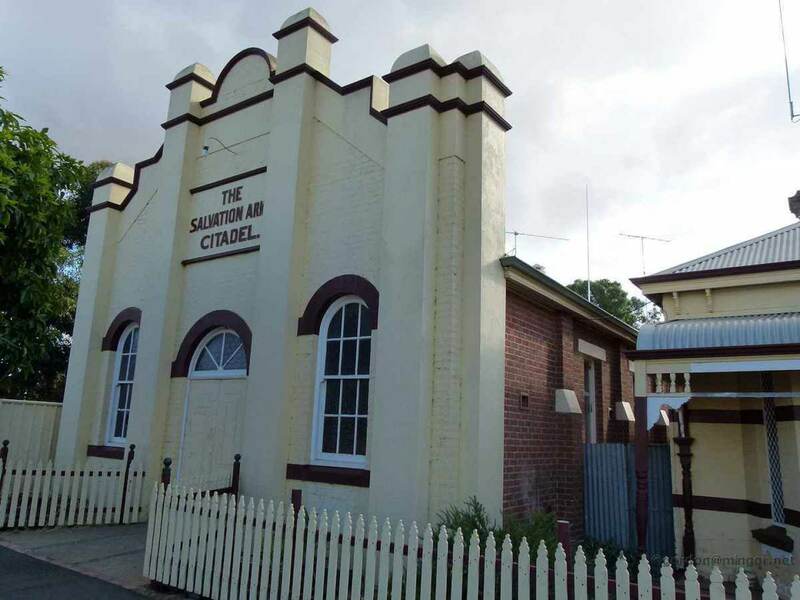 The former Salvation Army Citadel was opened in 1928 by Alex Thompson MP. The Citadel was closed in 2004. No other details are known about the former Citadel. More historical information/photographs of the former Citadel/congregation are invited. Photographs uploaded 26/9/2018. Note: Photograph attribution/source - https://lostkatanning.com/churches/ Date of photograph is not known.